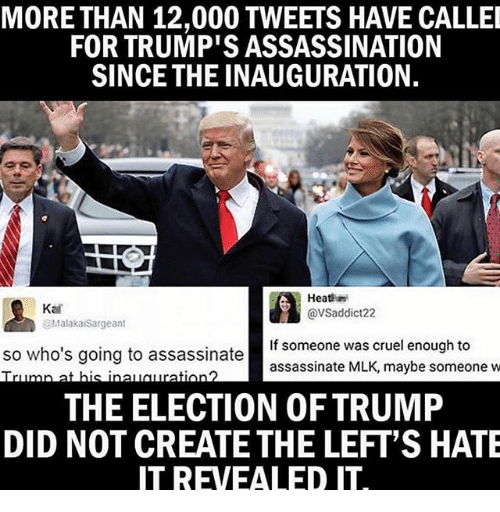 But Democrats and Muslims have no problem with the countless daily memes calling for Donald Trump and his family to be assassinated. 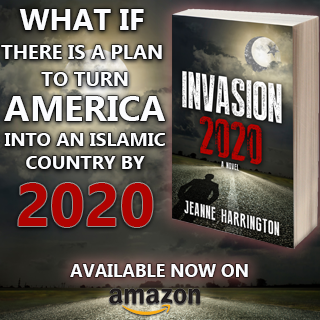 Trentonian Another social media firestorm has erupted in Hamilton Township, and this one has Republican mainstream footprints all over it. Four Hamilton Township municipal employees who serve as elected GOP operatives have each shared inflammatory content on Facebook. 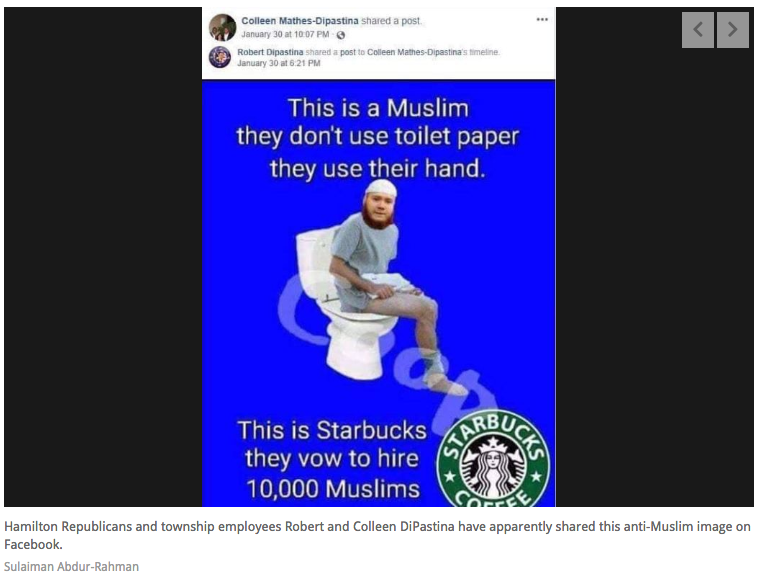 Robert DiPastina, who works for the township public works department, and his wife Colleen DiPastina, who works as a civilian Hamilton Police secretary, appear to have shared anti-Muslim content on Facebook, depicting a bearded man in a Kufi skullcap sitting on a toilet seat, with the Starbucks logo. 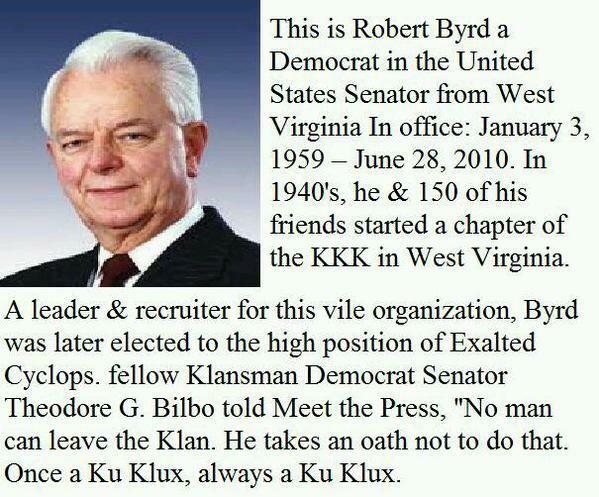 Meanwhile, former GOP councilman Ed Gore announced his retirement as Hamilton’s public defender Thursday after someone exposed his social media activity concerning an image that used a Ku Klux Klan reference. 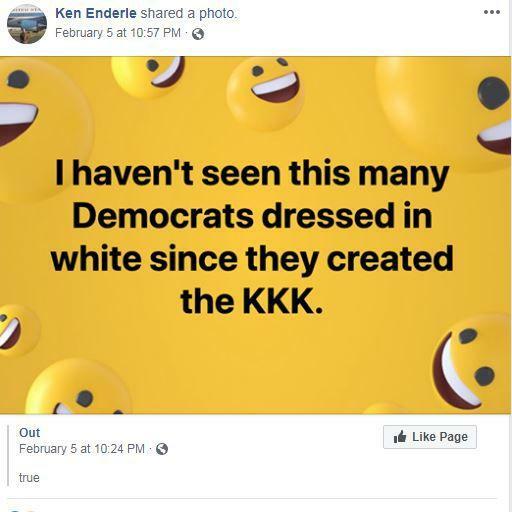 Kenneth Enderle, an engineering aide for the township, also appears to have shared the same KKK meme, a graphic that denigrates every female Democrat who wore white clothing at President Donald Trump’s 2019 State of the Union address. It seemed to refer to Starbucks’ commitment two years ago to hire 10,000 refugees over the next five years. The company initiative was in response to Trump’s controversial travel ban. 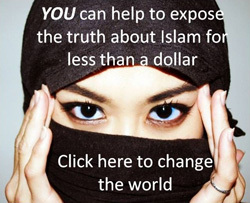 Gore, a former town councilman who previously served on the Hamilton school board, apologized in 2015 for making anti-Muslim comments following a terrorist attack that killed five U.S. military service members in Chattanooga, Tennessee. 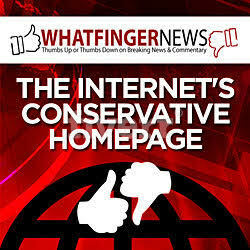 He is not apologizing, however, for his latest controversial Facebook post. You say one of my memes pissed you off? Good. Tell me which one so I can put up 10 more just like it…. We are regressing into anarchy. 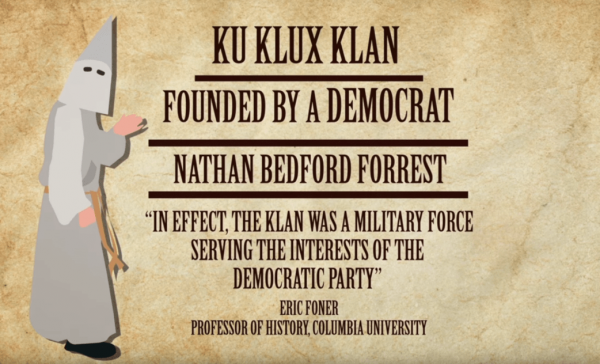 You can dig up something politically incorrect in anyone’s past. Demand they resign from their jobs. Might as well lynch them. Father God, Yahovah, please bless President Trump and his family and keep them safe and unharmed in every way. In Yeshua, your Son’s name! Amen!!! Is a guy who isn’t a Jew allowed to say Amen to that ?